Such a gorgeous outfit! I love the blouse so much. Have a lovely weekend. I love everything about this look! 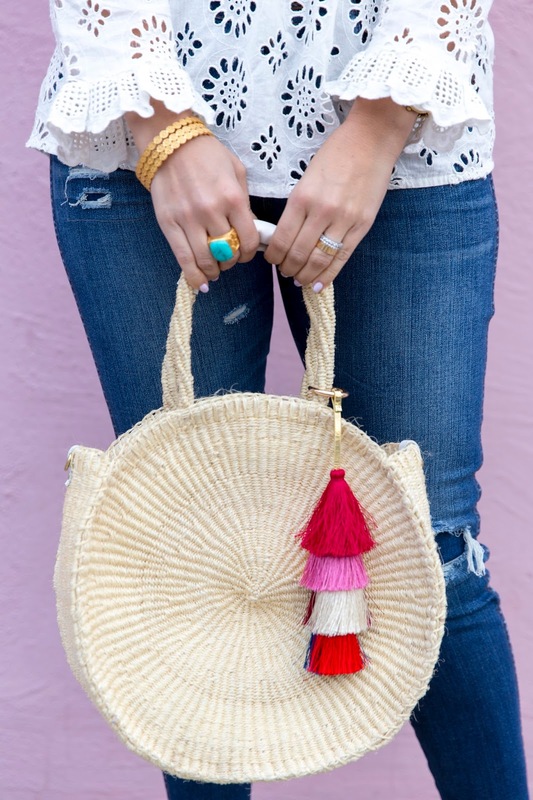 Your top, the bag and those wedges are just perfect! 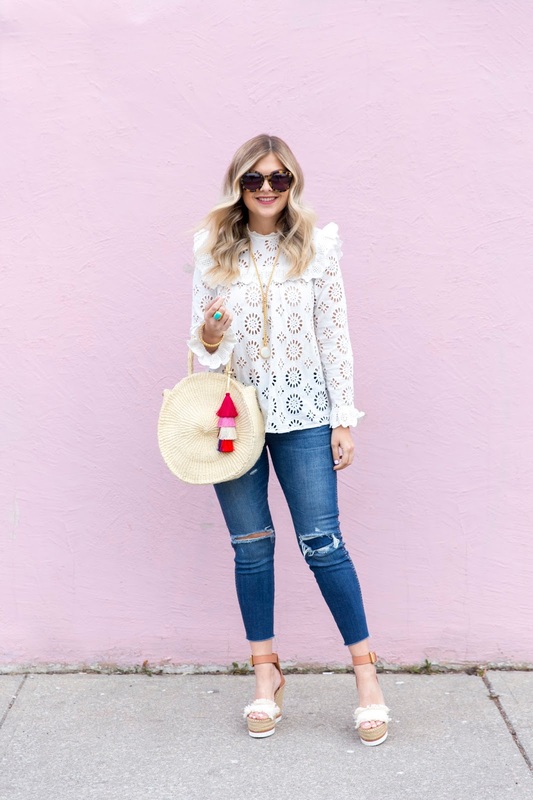 Such a pretty outfit and I especially love that top and bag. 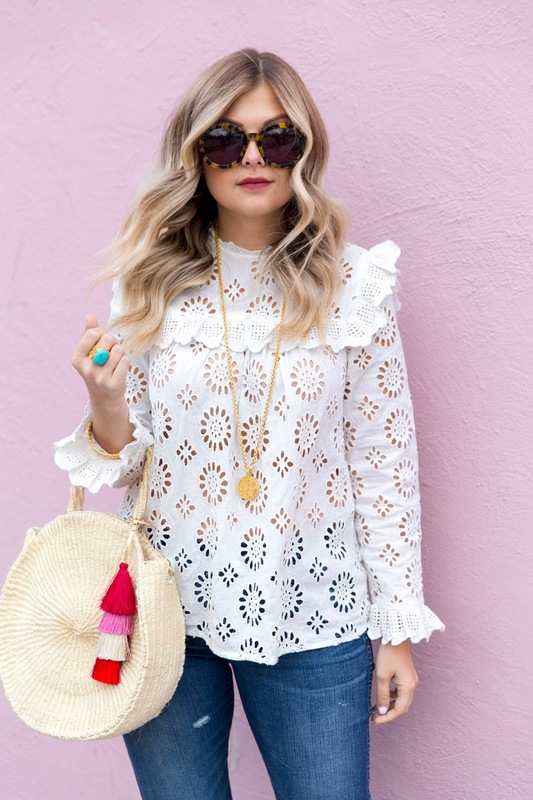 Such a cute spring outfit and I'm so in love with your white blouse!